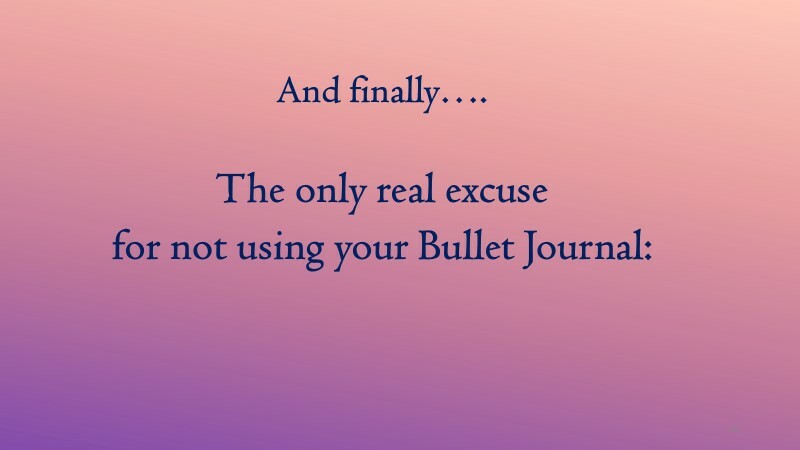 But anyway, here is the last part of my bullet journal presentation. 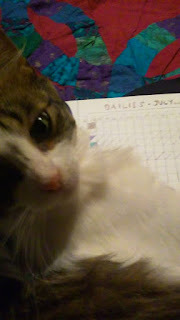 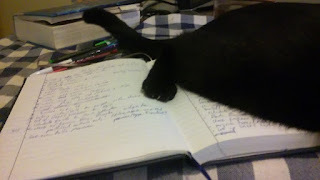 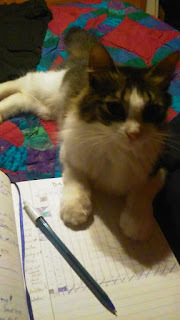 Anyone else have this problem while trying to write? 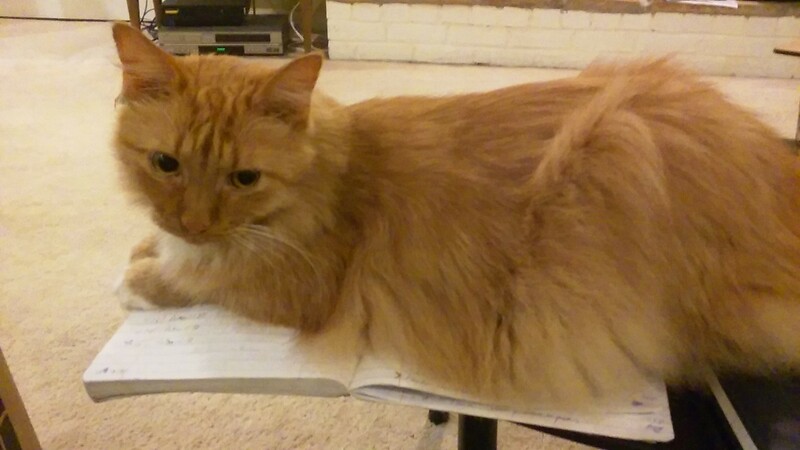 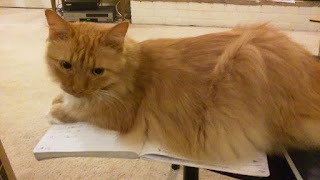 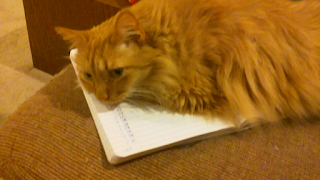 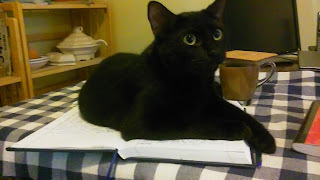 Someone said that when cats lie on your work, they're trying to get you to relax. 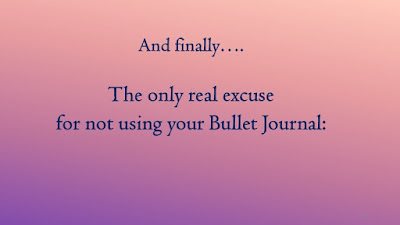 I'm sure that's it.